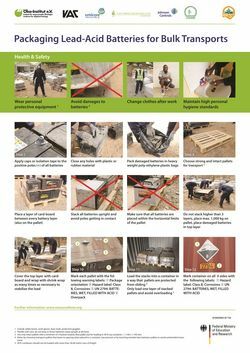 This report summarizes the most important findings from the Lead Recycling Africa Project, including information on typical management paths, working environments, pollution and health impacts. The information was gathered during the various investigations of the Lead Recycling Africa Project and is based on a combination of field visits, interviews and literature analysis. The report also gives recommendations on how to reduce the adverse impacts on human health and the environment. 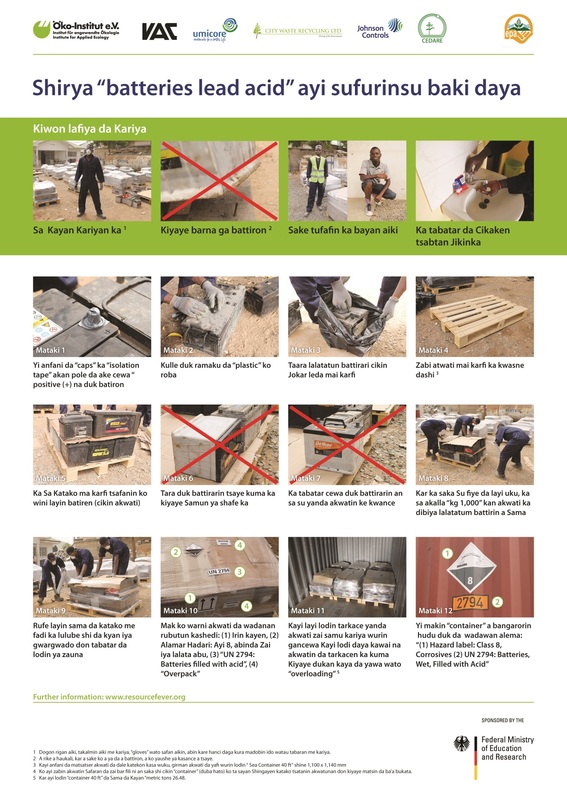 Improper lead-acid battery recycling presents a significant environmental and health problem in Kenya, violating the right to a clean, healthy and sustainable environment as recognized and protected under article 70 of the Kenyan constitution 2010. The discharge of the battery acid into the environment and remelting of the lead in open fires (recycling plants lacking up to date technology) are common practice in Kenya and few alternatives have been developed to date. This study mainly aims at creating awareness about the situation of lead recycling in Kenya with the long term intention of developing solutions for the environmentally sound recycling of lead‐acid batteries and the protection of human health. 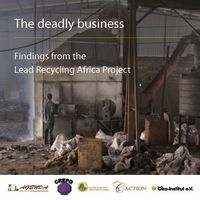 The aim of this fact finding study was to identify potentially polluting practices of lead-acid battery recycling in Tanzania. Various methodologies were utilized in coming up with this report. Literature review was followed by preparation of survey tools with leading questions to the identified stakeholder groups. Discussion was then held with NEMC on the Tanzania situation and the project activities. 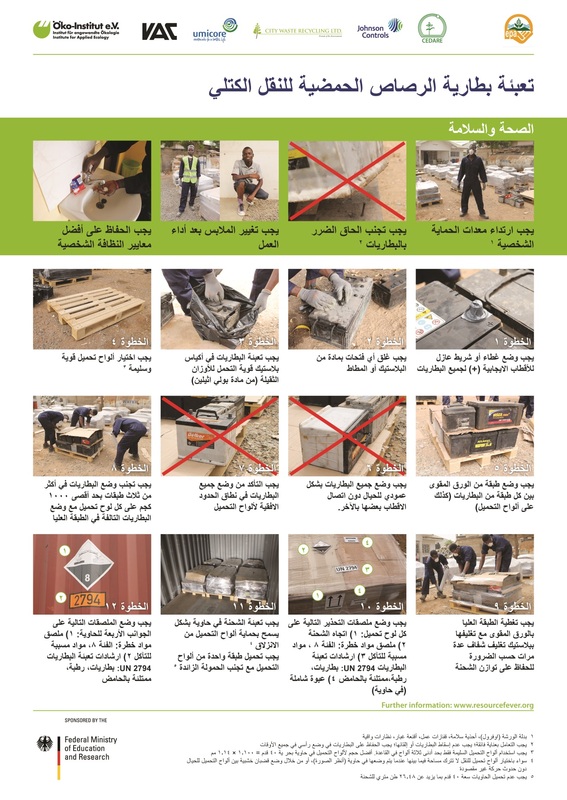 AGENDA with support of NEMC visited the recycling facilities and conducted interviews with the management and workers separately and gathered the required information. Local governments and communities around the recycling facilities were also visited and discussions held with them on their general perception of the industry. In addition, AGENDA surveyed battery collectors, markets and garages involved in maintenance of vehicles and battery collection or re-use for lighting. Awareness sessions were conducted with those involved in the recycling chain, communities and some media houses. This paper provides an estimation on the total annual generation of used lead-acid batteries (ULABs) in Africa. The derivation is based on data from the International Organization of Motor Vehicle Manufacturers OICA about the number of vehicles in use in Africa as well as sound assumptions about service live, weight and lead content of ULABs. This study aims at providing a baseline overview on facts regarding used lead acid battery recycling in Cameroon. Apart from showing the material flows of used lead acid batteries during collection, it focusses on current recycling practices in both, the formal and informal sector,related health and environmental impacts and awareness as well as trade flows of used lead acid batteries and downstream marketing of products from lead recycling.Furthermore, observed community and health impacts are illustrated. 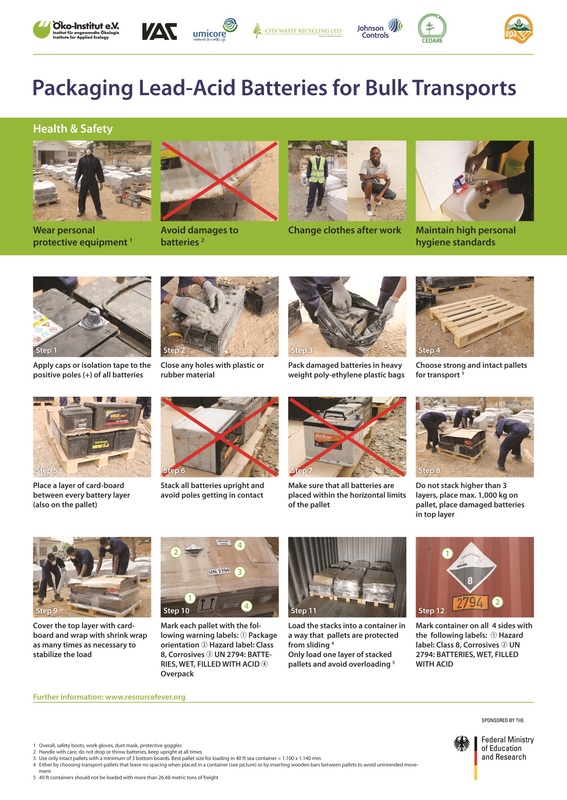 The general objective of the study was an assessment of the current status of lead acid battery recycling in Ethiopia.This includes heavy threats to human health and the environment, work safety as well as health awareness within the lead acid battery recycling sector. Also, end-of life lead acid battery flows are analyzed, from collection to processing. Finally, the study provides a discussion of the results and draws conclusions. Within the scope of funding provided by the German Federal Ministry of Education and Research (BMBF) for the research project "Global Circular Economy of Strategic Metals – Best-of-two-Worlds Approach (Bo2W)", in October 2015 a film has been produced in Ghana that focuses on the problem of unsound lead-acid battery recycling in Africa. The film shows, with striking images, the major challenges facing closed-loop materials management in Africa using the example of lead-acid battery recycling and explains the Bo2W-based solution implemented as an example within the project. This report provides basic information on sources, management paths and downstream markets of used lead-acid batteries in Ghana. The majority of information contained in this document was derived during various field studies on the lead-acid battery recycling chain in Ghana. Although the situation in Ghana cannot be extrapolated to other African countries, it seems plausible that some of the characteristics may be found also in other countries with comparable socio-economic situations. The document is intended to support field investigations in developing countries and emerging economies by sharing core findings from Ghana as well as some general considerations on lead-acid battery recycling.